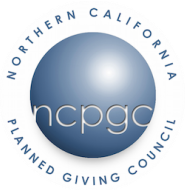 Join the NCPGC/AFP Golden Gate Mentor Program. The Mentor Program provides one-to-one support for professionals. Whether you wish to learn more about a specific area of fundraising, are new to, curious about or experienced in the profession, or simply enjoy sharing your expertise with others, you'll find the Mentor Program rewarding. This year, the Mentor Program Year will be split into six-month cycles. The March Cycle runs through August 2019, and The August Cycle runs through January 2020. Two Mentor Program Online Clinics held from 9:00-10:00 AM (dates TBA). A Mentor Program meetup at one of the informal Unplugged networking events (date TBA). Free registration via promo code to AFP Golden Gate Noon Online classes (ending January 2020). Register for both Cycles and save!